One of the rulings involved an appeal by former Enron CEO Jeffrey Skilling, who won dismissal of some conspiracy charges. Washington (CNN) -- The federal government won a partial victory in its efforts to go after corporate fraud in three separate rulings from the Supreme Court Thursday. The justices, in a complex set of opinions, upheld the continued used of a popular federal prosecution tool known as "honest services" -- but limited when it can be used against business executives and politicians. 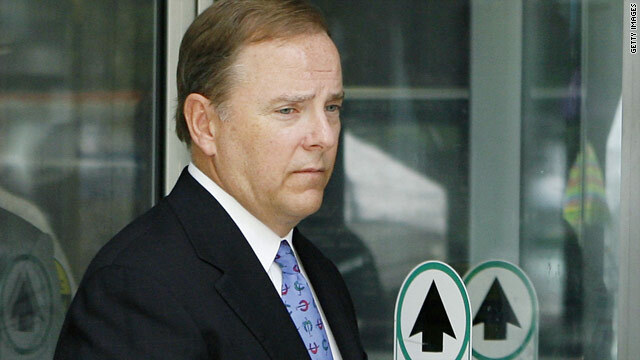 In the case involving former Enron CEO Jeffrey Skilling, the court upheld parts of his conviction, but dismissed the conspiracy charges that involved allegations he withheld "his honest services." "Interpreted to encompass only bribery and kickback schemes," wrote Justice Ruth Bader Ginsburg, the law "is not unconstitutionally vague." But as applied to Skilling, Ginsburg said, "the government did not, at any time, allege Skilling solicited, or accepted side payments from a third party in exchange for making these representations" about the energy service company's financial health. "It is therefore clear, as we read [the law], Skilling did not commit honest-services fraud." Using that same legal standard, the court dismissed the separate convictions of imprisoned media executive Conrad Black and former Alaska state lawmaker Bruce Weyhrauch, because those prosecutions also relied on a wrong reading of "honest services." All three cases were tossed back to lower courts for reconsideration. The government has the option of retrying the defendants. The ruling is a mixed bag for the Obama administration and the Justice Department, which will be allowed to continue pursuing corporate fraud prosecutions, but under somewhat limited circumstances.